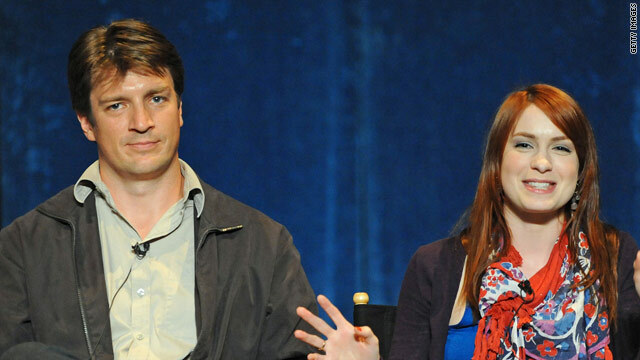 Actress Felicia Day, pictured with actor Nathan Fillion, will be a keynote speaker at South by Southwest Interactive. (CNN) -- Felicia Day, creator and star of the cult-favorite web series "The Guild," will be a keynote speaker at the 2011 South by Southwest Interactive festival. The tech-focused festival, which is held yearly in Austin, Texas, announced on Monday that Day will be one of the event's featured speakers. Day is a favorite of science fiction and fantasy fans and virtually defines the phrase "famous on the internet." "The Guild" was ground-breaking in the world of Web-only programming. The series, about a group of online gamers, ultimately struck a deal to produce and release several seasons on the online gaming network Xbox Live. The series also became a line of print and digital comics from Dark Horse, with Day retaining the rights. Her song from the series, "Do You Wanna Date My Avatar," has amassed an impressive 13.6 million views on YouTube. She has also appeared on TV shows including "House," "Lie to Me," "Monk," "Eureka" and "Dollhouse," as well as movies "Bring It on Again," "Red" and the HBO feature "Warm Springs." Held annually in March, South by Southwest Interactive is part of a two-week festival highlighting music, movies and Web and technology innovations. Interactive week has been affectionately dubbed "spring break for nerds" by its attendees. "At SXSW, Day will speak about how geeks and technology are reshaping the traditional Hollywood content industry," the group said in a statement Monday. "The huge audience of followers Day has amassed via 'The Guild' make her a great fit for the community theme that runs throughout the 2011 keynote lineup." South by Southwest Interactive is scheduled for March 11 to 15.